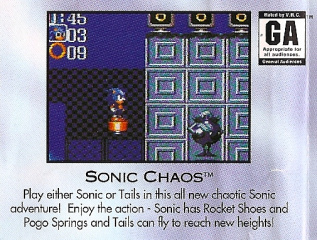 The following are advertisements placed in various print media to promote the release of Sonic Chaos. This ad comes from the Welcome to the Next Level booklets Sega included with its games during the slogan's lifetime. This page was last edited on 27 March 2019, at 16:32.